All I ever do is wait . . . Waiting for someone to answer the call button . . . waiting for the next meal . . . waiting for someone in the family to arrive . . . endless waiting . . . In January, his ceaselessly active life of ministry came to an abrupt standstill when a round of pneumonia gave cancer the upper hand. Overnight, instead of taking care of everyone else as pastors do, he needed round-the-clock full-time care himself. How many times do I recall walking into his little room at the skilled nursing facility in the morning carrying two Starbucks mochas so we could sit and sip and talk together. Always, there he sat. Quiet . . . still . . . patiently waiting . . . for whatever was going to happen next. What I wouldn’t give to walk into that room and find him sitting there one more time. Advent is a time of waiting. And sometimes—with the brokenness and missing loved ones that make Christmas so hard to celebrate—we wait for Jesus to come with a longing we can hardly bear. Dietrich Bonhoffer knew the meaning of the word “wait.” He spent two Christmases waiting in a German prison cell. Christmas in prison profoundly intensified his understanding of and need for Christmas. And with his powerful pen, he wrote words that take us deeper into the meaning of the season that is now upon us and help us wait too. In that deeper place, we join a long line of fellow believers who spent their lives and themselves waiting for Jesus’ coming and who, along with us, are waiting still. 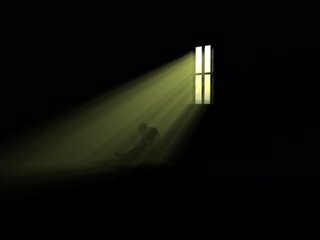 Life in a prison cell may well be compared to Advent. One waits, hopes, and does this, that, or the other—things that are really of no consequence—the door is shut, and can only be opened from the outside. Celebrating Advent means being able to wait. Waiting is an art that our impatient age has forgotten. It wants to break open the ripe fruit when it has hardly finished planting the shoot. But all too often the greedy eyes are only deceived; the fruit that seemed so precious is still green on the inside, and disrespectful hands ungratefully toss aside what has so disappointed them. Whoever does not know the austere blessedness of waiting—that is, of hopefully doing without—will never experience the full blessing of fulfillment. . . . For the greatest, most profound, tenderest things in the world, we must wait. It happens not here in a storm but according to the divine laws of sprouting, growing, and becoming. Now, whenever I’m in Portland, I visit my dad’s grave . . . where the waiting continues. 3 Responses to All I ever do is wait . . .
May the God of all comfort hold you close, especially this Christmas – the 1st without your dad. 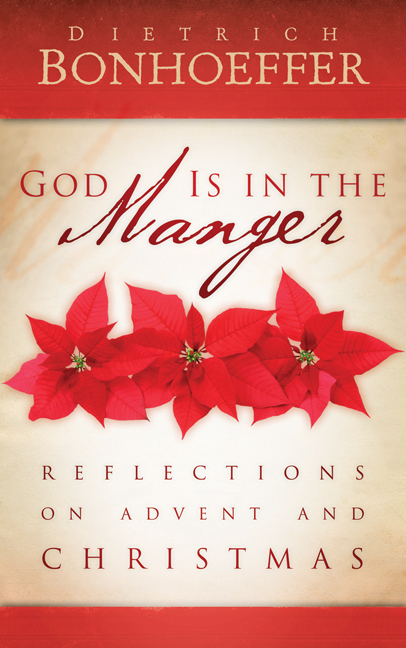 Imagine how wonderful it is for him to celebrate Advent with the Risen Christ! What a kind and comforting thought. Sure do miss him, though. Thanks R.J.